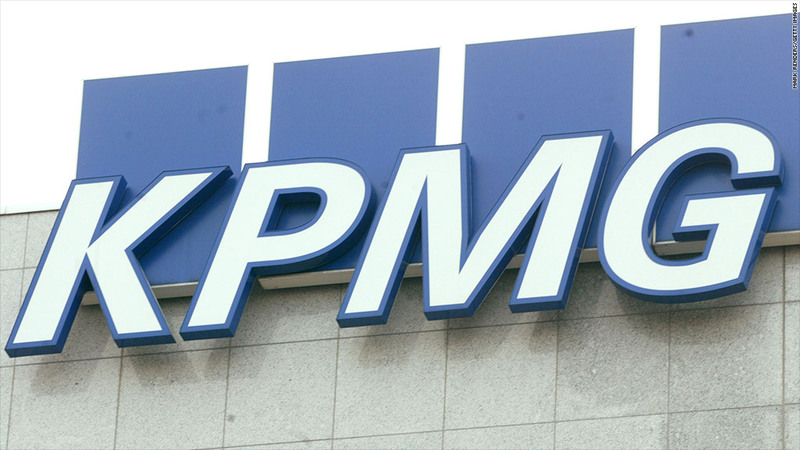 KPMG is known globally as one of the "Big Four" auditing and accounting firms. A former partner at KPMG was charged Thursday with providing illegal stock tips to a friend about the global auditing firm's clients. Scott London, 50, was terminated last week after notifying the firm of his actions, according to a complaint from the Securities and Exchange Commission. He has admitted to passing his friend, 52-year-old Bryan Shaw, information on five KPMG clients between 2010 and 2012 that Shaw used to make at least $1.27 million in illegal trading profits, the SEC said. Shaw, who also faces charges from the SEC, has admitted to paying London $50,000 in cash and providing him with jewelry, meals and other perks in exchange for the tips, according to the SEC complaint. Earlier this week, KPMG resigned as auditor of Herbalife (HLF) and Skechers (SKX), two of the companies about which London allegedly provided inside information, in response to the case. "London was honored with the highest trust of public companies, and he crassly betrayed that trust for bags of cash and a Rolex," SEC acting enforcement director George Canellos said in a statement. London, who joined KPMG in 1984, also faces criminal charges brought by the U.S. Attorney's Office in Central California. The office did not immediately respond to a request for comment. Harlan Braun, a lawyer for London, said his client cooperated with law enforcement officials immediately upon being confronted, putting "his clients and the firm first and himself second." "A judge is going to have to balance 30 years of ethical conduct against this terrible lapse of judgment that he had, as well as his reaction upon being confronted," Braun said. KPMG CEO John Veihmeyer said in a statement that he was "appalled to learn of the additional details about Scott London's extraordinary breach of fiduciary duties to our clients, KPMG and the capital markets." A lawyer for Shaw did not immediately respond to a request for comment. London was the lead partner on the audits of Skechers and Herbalife. He is also accused of providing Shaw with tips on Deckers Outdoor Corp. (DECK), RSC Holdings and Pacific Capital. KPMG has withdrawn recent audit reports for both Skechers and Herbalife in light of the case, but says it has "no reason to believe that the financial statements of these companies have been materially misstated." Skechers' reports for fiscal years 2011 and 2012 have been withdrawn. The shoe producer said this week that it had started the search for replacement auditors but was unable to provide an estimate of when the new audits for 2011 and 2012 will be completed. Herbalife's 2010, 2011 and 2012 financial statements have also been withdrawn, though the nutritional supplement company said this week that it believes the statements "fairly present, in all material respects, the financial condition and results of operations." Herbalife has been in the headlines over the past few months since hedge-fund manager Bill Ackman accused the company of operating a pyramid scheme, an allegation the company vigorously denies.